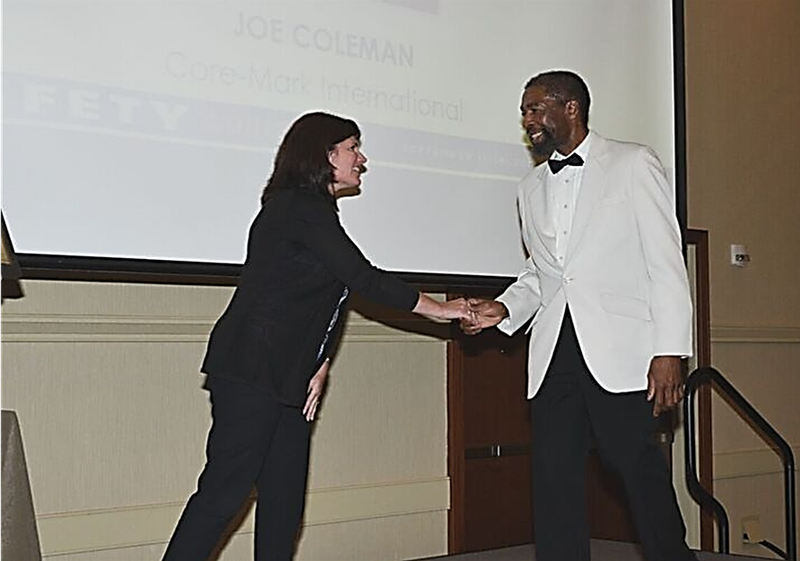 Core-Mark Driver Stories | Joe C.
At Core-Mark, our 130-year legacy provides the foundation for a team that embraces new challenges, delivers new solutions and celebrates new ideas – without losing sight of the individuals and relationships that make it all possible. Driver Joe C. is one of those individuals. Joe began his Core-Mark career 25 years ago and has been a vital part of our success ever since. Joe’s customer-centric, professional attitude is always on display. When he arrives at work every morning he is all smiles as he greets his colleagues. With his generous hospitality and welcoming nature, Joe is a master at building relationships with our customers. “I start by remembering to be patient and treat people the way I would want to be treated,” he says. “Without them, I wouldn’t have a job to come to each day.” He shows his appreciation for customers and their business by making transactions as seamless as possible. The little things he does, like drawing a face saying, “Hi!” and arrows pointing to where the customers need to initial, make a world of difference. Core-Mark considers Joe to be “the standard” for our drivers. All Core-Mark drivers take safety seriously, but Joe’s track record is exceptional. With over 821,300 miles and 25 years of experience behind the wheel, he has had zero accidents driving a Core-Mark vehicle. His conscientious efforts in navigating small parking lots and traffic congestion while always keeping his eyes peeled for parking lot traffic or overhead objects make him the constant professional. Throughout Joe’s career, he has never called in sick for a route or been late to work. The secret to this remarkable accomplishment? “I don’t drink or smoke and always get enough sleep,” he says. Joe’s commitment to providing our customers with safe, accurate and timely deliveries makes him a model driver. His outstanding service with Core-Mark is the reason he was named Driver of the Year for the Portland Division in 1996 and 2001. In 2018, he was recognized by the National Private Truck Council as a 2018 Driver All-Star at their National Safety Conference. Joe is not only a great employee, he’s a great person. When he’s not working, Joe is frequently at his local church, where he is the senior deacon and superintendent. He also leads a Bible study group. The power of one, strengthened by all can be transformative. Joe is a testament to that. He also proves that when you join Core-Mark, you’ll contribute to something bigger. As a member of our family, you’ll be supported in your work, challenged and trusted to take on new adventures, and proud to be part of the continued success of our historic company and our customers. Discover new opportunities to join our team of drivers here.